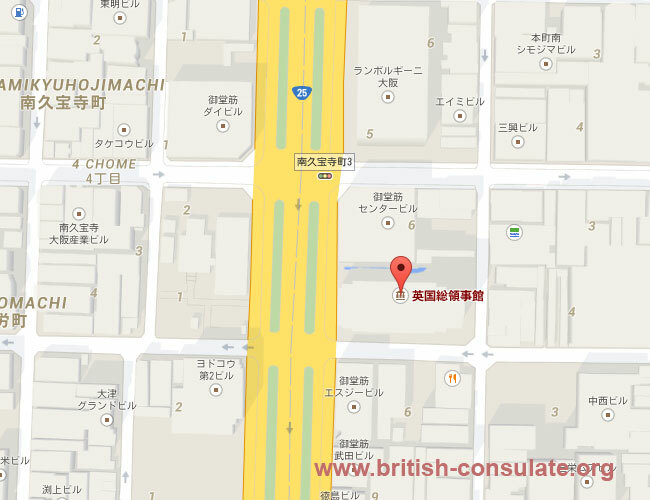 Tokyo is home to the British embassy in Japan and there is also a Consulate General in Osaka. If you wish to visit the United Kingdom then you can apply for a visa at the embassy in Osaka or in Tokyo. You can apply for a visitors visa, spouse visa if you have a British spouse of a fiancee visa if you are engaged to be married to a British citizen. If you are a British national then the embassies can register a marriage while in Japan. They can also register a death or a birth of a British citizen. Speak to the embassy staff and note the contact details below. 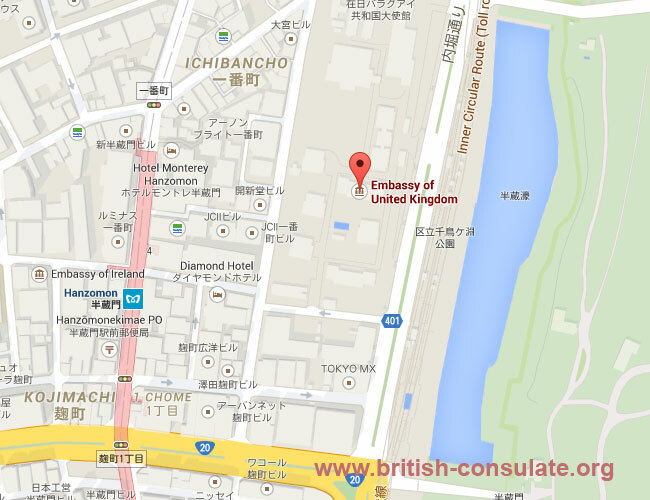 There are the telephone numbers, street address and a map listed for the British embassy in Tokyo. Opening hours: Monday to Friday 9:30am to 4:30pm and closed for weekends. Opening hours : Mon to Fri – 9:30am to midday / 1:00pm to 5:00pm closed on weekends. Consular section opening hours: Monday and Tuesday 10:00am to midday and 2:00pm to 5:00pm, Wednesday 10:00am to midday, Thursday and Friday 10:00am to midday and 2:00pm to 5:00pm.